Purchase the DVD with rights to screen in your community. Screen Radical Grace for your community group, house of worship, school, conference or nonprofit organization. Faith Community Discussion Guide Designed for groups with participants of any faith tradition. Explore personal faith, social justice and religious community reform. Social Justice Discussion Guide For groups with participants of all faiths and no faith. Explore the intersection of personal development and social justice. 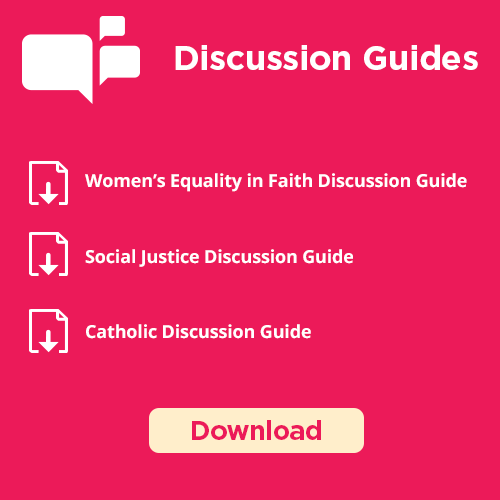 Catholic Discussion Guide For Catholic groups groups interested in personal faith development, social justice and church reform.